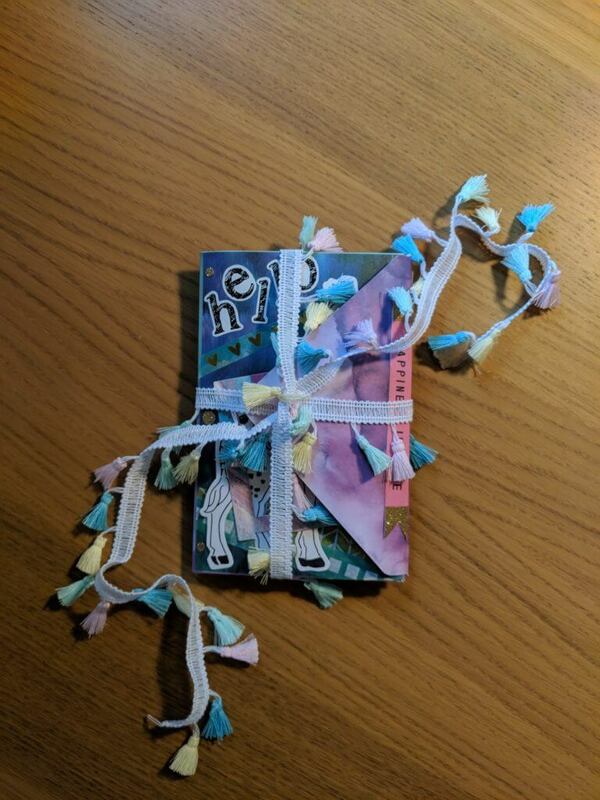 If you’re a fan of snail mail like I am, you might also enjoy to experiment with different methods of presenting your letters to your pen pals. Not only does a flip book act as an envelope for your letter, but it also offers you ample opportunity to personalise your package and add in little gifts, photos, etc. The options are limitless with this project, and that’s what makes it so great. For my flip book I used the following materials and method. Four sheets of 12″ x 12″ double sided paper to make the envelopes (you can alter the size depending on how big you want the flip book to be). 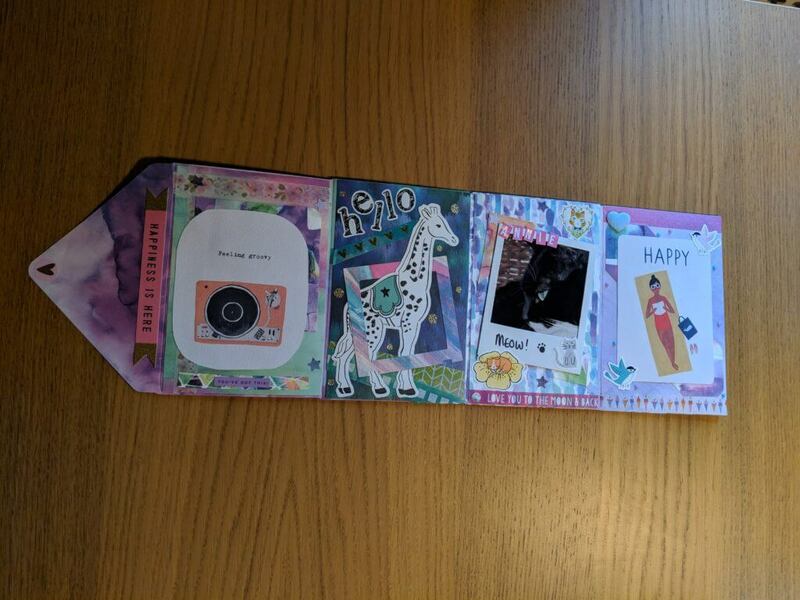 Bits and bobs to decorate, including photos, pictures cut from magazines, washi tape, stickers, gems and journal cards. Create the envelopes using the envelope punch board and glue them to secure. Otherwise, select some pre-made envelopes to use for this project. Glue all of the envelopes to each other, with the flap of the first tucking behind the body of the second, and so on. This will leave you with one flap at one end, which you can use to secure the book once it is closed. Cut four rectangles from paper or card to cover each inner envelope and give you more room on which to craft and decorate. This isn’t essential, but just opens up more options for you and makes it look a little neater and also a little less like four envelopes stuck together! Glue these rectangles to your flip book. Fill all the pockets with goodies for your friend. You might have a theme in mind, or you might just want to start crafting and see what happens. Either is fine, but you may find it easier to stick to a theme as this gives you a focus. 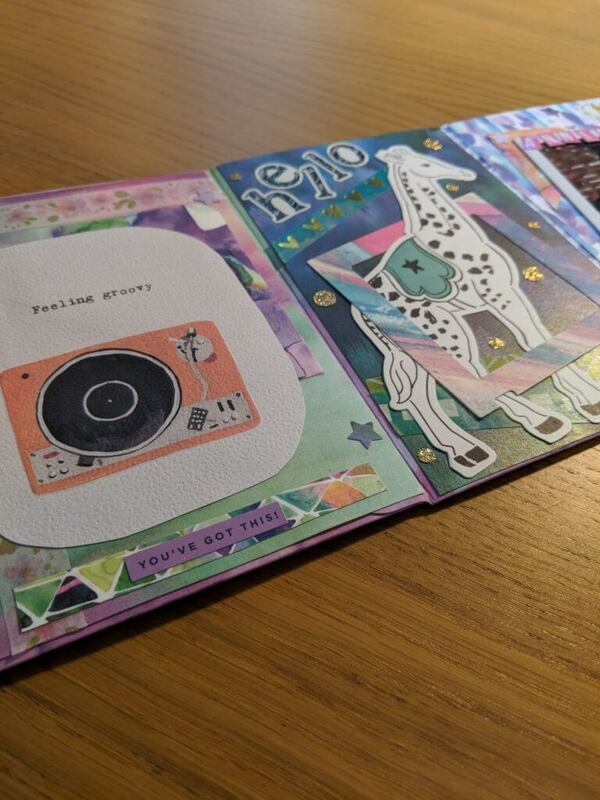 If you’re a little overwhelmed (it is rather a large project) start by looking through your craft supplies and finding one thing that you think your pen pal would like to see in the flip book. Then decide where you want to place it in the book, and work from there. 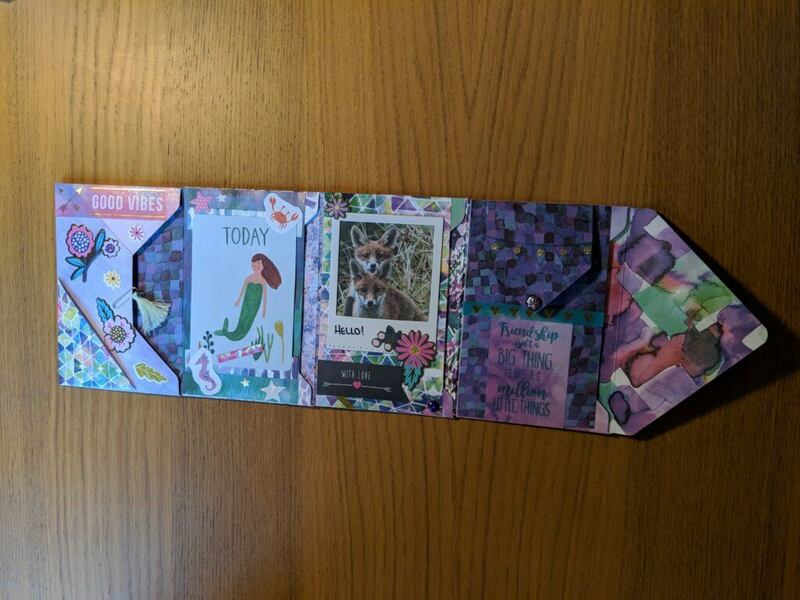 Personalise your flip book to the relationship between you and your pen pal. What are your shared loves? Reflect them in your book. Create frames for photos and pictures. 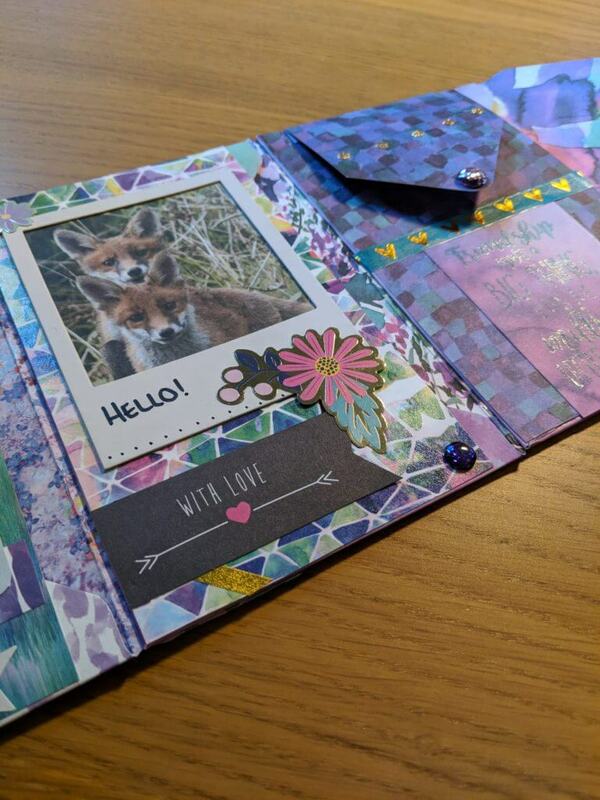 Utilise scrap bits of card and paper — this is a great opportunity to use them up! Consider adding extra glue to washi tape, as some can easily come unstuck. Some great gifts to pop in the pockets of the flip book include your favourite teabags, stationery, stickers, washi samples, photographs, pretty paperclips, ephemera and sticky notes. You might find some useful ideas in this blog post. Don’t forget your letter though — the best gift of all! Stuck for what to write? Here are 75 questions to ask your pen pal, to get the conversation flowing again. Why not use some for a mail tag?